These are exciting times for Commercial Real Estate Technology, where wireless applications have the potential to create competitive differentiation, improve the tenant/guest experience and provide operational efficiencies only imagined earlier this decade. The planned enhancements in wireless networks � specifically the upcoming 5G evolution, CBRS spectrum availability and Private LTE networks � have created opportunities for commercial real estate owners and enterprise to capitalize on a groundbreaking technological shift through the 2020�s and beyond. But the opportunity to take advantage and create a smart, wireless-centric commercial building can slip by without enabling the necessary wireless infrastructure and the people required to support it. 5G promises wireless broadband with fiber speeds, low latency and other benefits when a 5G device is connected to a 5G network. It's a super-fast and nimble network standard built upon the current LTE framework. It�s still very early in the evolution, though incremental changes made by the wireless carriers and others will begin to provide 5G features and benefits to end users. For example, Airwavz recently finished a project in a marquee building, and a wireless carrier wanted to roll out some 5G type features; the network is currently delivering well over 120Mbps per device for tenants in this Class A+ property, and that speed and performance will rapidly increase as 5G evolves. CBRS or �OnGo� (which is a block of wireless spectrum that is both licensed and "quasi-licensed") represents another huge potential technological step forward for the commercial real estate industry. There are still many unknowns as to how the licensed spectrum part of the whole CBRS universe will play out, but the quasi-licensed CBRS spectrum band is the near-term game-changer. It will help reduce cost and improve speed to market by bringing all wireless carriers' signals onto an in-building wireless system significantly faster than today. Private LTE networks will thrive. CBRS spectrum will help commercial real estate deliver 5G benefits including customized tenant/guest amenities, security, automation and entertainment, as well as enable tenant/guest data mining and analytics to improve their overall experience. Airwavz operates complex, private in-building wireless (IBW) networks for its commercial real estate and enterprise customers, enabling smart building features by connecting all of the devices and machines in a building (the Internet of Things), and ensuring tenants/guests enjoy near-flawless coverage, more bandwidth, faster speeds and fewer/no dropped calls today, and everything their smart building can deliver tomorrow. An Airwavz IBW network is a series of antennas placed throughout the interior of a commercial building and are connected to the wireless carriers� networks. It�s like building a cellular antenna INSIDE of a building and can deliver crystal clear calling with no dropped calls, greatly improved battery life, and data speeds greater than 20 gigabits per second when 5G rolls out. Building such a network today provides a near term competitive advantage that can be leveraged prior to and during this 5G transition. Airwavz constructs and operates wireless systems that are 5G and CBRS ready, so as standards and technology are adopted, upgrades are seamlessly made to a customer's infrastructure. Today, the vast majority of commercial buildings tend to lack this infrastructure and the reason has largely been due to cost. Owner-funded solutions are expensive capital outlays and often unreliable. Carrier-funded solutions are a rarity and do nothing to ensure multiple carriers are supported inside the building. Airwavz set out early to figure out how to reduce costs and get all carriers connected. Airwavz embraces the �fourth utility� concept, i.e. building owners should view enhanced wireless service as a utility, much like electricity, water or gas. It is the building owners� responsibility to hire the electrician, while the electric company brings power to the meter. Same thing with water. It's the building owner�s responsibility to hire the plumber and the water company brings the water. Airwavz looks to the building owner to pay for some of the wireless �pipes� needed to run the services inside their building and then looks to AT&T, Verizon, T-Mobile and Sprint (who are more concerned about their service OUTSIDE of buildings) to bring the radio source or the wireless service INTO the building. By doing that, the cost is shared between multiple parties, including Airwavz. While multiple parties make the transaction more complicated, it does help spread the cost between the building owner and the carriers and drives the cost down dramatically from what is normally a very expensive proposition for all parties. Airwavz is an infrastructure as a service (IaaS) provider and believes this is the most practical approach because other solutions have higher initial capital outlays and ongoing operating costs. In other scenarios, asset managers and building technology leaders have to deal with equipment obsolescence and the cost of updates as equipment evolves, paying extra for maintenance and monitoring, and the hassle and headache of troubleshooting and working with difficult to reach parties when something goes wrong. With Airwavz there is but one throat to choke. 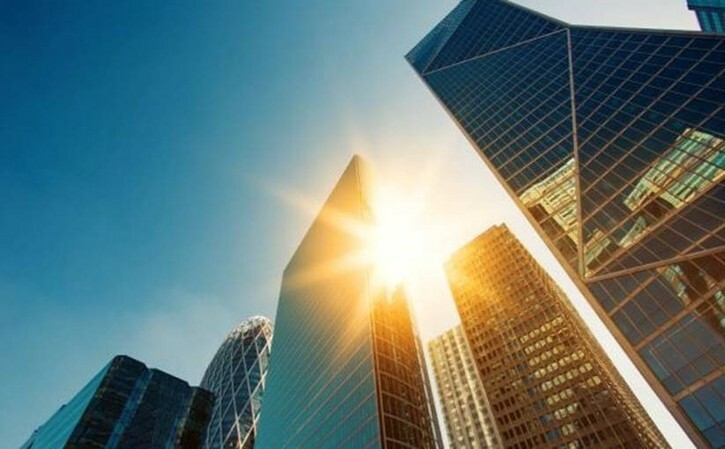 It comes down to whether Commercial Real Estate property owners are ready to take action to resolve a long-standing problem, and 5G and CBRS represent a tipping point where the big benefits and lower cost of solutions should drive activity; when building owners make an investment in wireless infrastructure in anticipation of the CBRS and 5G network evolutions, then they are already benefiting financially and competitively, with a ton of upside as these technological changes take root. 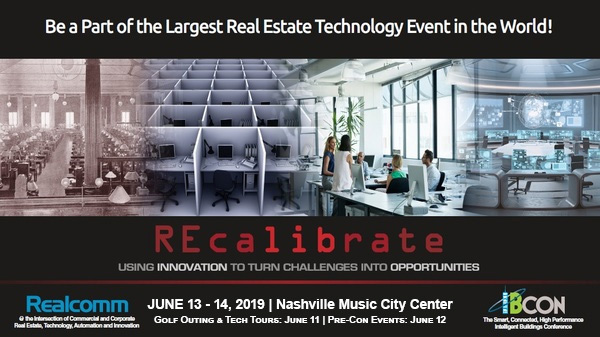 Airwavz Solutions will be participating in an upcoming Realcomm webinar on May 23 (Future-Proofing BUILDING COMMUNICATIONS � 5G, WIFI, CBRS, Bluetooth, In-Building Wireless and More), and if visiting Nashville this June for Realcomm/IBcon, please stop by the Airwavz booth and say �hello�. 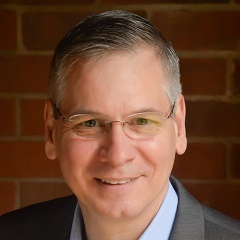 Mark Horinko is a successful telecom executive with more than 30 years of experience in wireless network strategy, network architecture and design, product development and large �scale network operations. As President of Airwavz, Mark is responsible for multiple, large-scale wireless and telecommunications network deployment projects totaling more than $1billion as well as development of five new industry-changing business and operational models.